In exchange for swift, no-fault coverage of medical bills and part of their lost wages, workers agree to give up the right to sue their employer for negligence in civil court. The benefits cover a portion of the costs incurred by an injured or sick worker but do not include the worker's pain and suffering or emotional distress in connection with the injury or illness. If someone dies on the job, death benefits may also be paid, although the amount paid may not be sufficient for the surviving family members of the deceased worker. Any party that provides a service or makes payments to an injured worker for services related to a work-related injury may be entitled to reimbursement under the workers' compensation law. 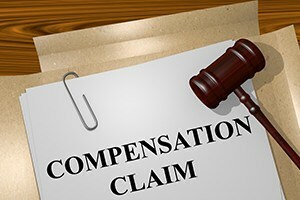 If you receive a notice of lien in connection with a third-party claim, you should consult the experienced Boston workers' compensation attorneys at Pulgini & Norton. The Department of Industrial Accidents (DIA) administers the dispute resolution process for workers' compensation claims in Massachusetts. The DIA does not pay for medical treatment or other services for injured employees, except when the employer does not have insurance coverage for the date of the injury. If the employer does not have coverage, the Workers' Compensation Trust Fund, which is run by the DIA, serves as the insurer. The Executive Office of Health and Human Services, rather than the DIA, establishes medical reimbursement rates and the procedure codes. When a health care provider or other service provider believes it received less from the insurer than what it was entitled to receive and wants reimbursement, it can file with the DIA a Form 115, which is a third-party claim or notice of lien. On the Form 115, the service provider needs to specify the type of services that were rendered and the statutory basis for the claim. The form is filed as a claim when there is no action pending on the injury. If the service provider files the Form 115 as a claim, it will receive a date on which to appear in front of the DIA. However, if a worker or insurer has already filed a separate claim before the DIA, and it is pending, the form can be filed as a lien. This means that the worker's case is not settled until the lien is satisfied. When an injured worker files for benefits, he or she may expect to receive reimbursement for all reasonable medical expenses, among other things. However, in some cases, services are not fully reimbursed, and a worker may be concerned about whether he or she will become responsible for paying off those bills. If a service provider files a third-party claim or lien in connection with your claim, our Boston workers' compensation lawyers may be able to advise you on filing a claim with the Department of Industrial Accidents and represent you before the DIA. Our firm also represents people in Braintree, Cambridge, and Waltham, among other Massachusetts cities. Contact Pulgini & Norton at 781-843-2200 or through our online form to set up a free consultation with a workplace accident attorney.